A computer screen is not always the best option to watch Web video content. And if the whole family wants to join in, then you definitely want to watch on the "big screen". Watching the Web on your widescreen television – whether it's LCD, LED LCD or plasma – is pretty straight forward: the content is streamed directly to the TV, without the need for a computer or complicated set-up process. This means you can stream multimedia content from the Internet directly into High Definition televisions that are enabled with this feature. A number of manufacturers are including this technology in their products, including Panasonic with its VIERA Connect, Samsung's Internet @ TV, LG's Netcast and Sony Bravia internet video content. 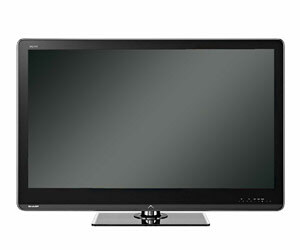 How Do I Watch Web Content On My Television? TVs with web capability have a built-in Ethernet interface, so when plugged into your broadband connection at home, no external box or PC is required and service is accessed via the television remote. Some sets also offer wireless network connectivity. Once connected, you'll be able to access content through the TV menu (see Widget explanation below). In addition, all of the latest generation of game consoles — Nintendo Wii, Xbox 360, PlayStation 3 — offer easy access to a wide variety of Internet content on your TV. What Internet Content Can I Watch On My Television? YouTube: Watch all the newest video clips. Picasa: View Web albums and share pictures with family and friends. Facebook: Build upon your social network. Skype: Keep in touch with loved ones. Bloomberg: Check all the latest stock prices and business news. The Weather Channel: Keep abreast of weather forecasts. Currently, the available content is based on the brand of TV you buy; manufacturers have content relationships with different providers. Some brands even have a web browser on some of their models allowing you to view any website. A widget is a "gateway" (in the form of a menu) on your TV screen to Internet-supplied content in a certain subject area. 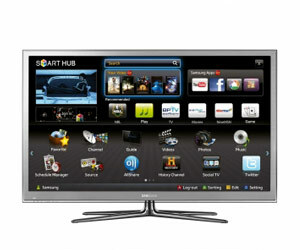 Televisions with Internet connection can renew these widgets with information and updates in real time. They're available as soon as the TV is turned on and the feature is activated, provided it's connected to the Internet via the Ethernet cable. Web TV is available from most of the major television manufacturers; however, it's a developing technology that will continue to improve in the future. There's a growing supply of video content, ranging from television shows, podcasts, music, full-length movies, news and even live concerts.